I am a TV runner, where are all the jobs? A lot of TV and Film runners join subscription sites to get access to jobs – places like My First Job in TV, My First Job in Film, TV & Film Pro or Production Base. We are worried about this because we don’t think anyone looking for a junior role should have to pay to see jobs. So we mounted a survey in January, to ask who had joined these sites and who had got work out of them. The answer was: only 1 in 6 people had got paid work through these sites, and most of those only got a few days paid work at best. Paying to see available jobs and then not getting work as a result does not seem like a good way of spending your money. 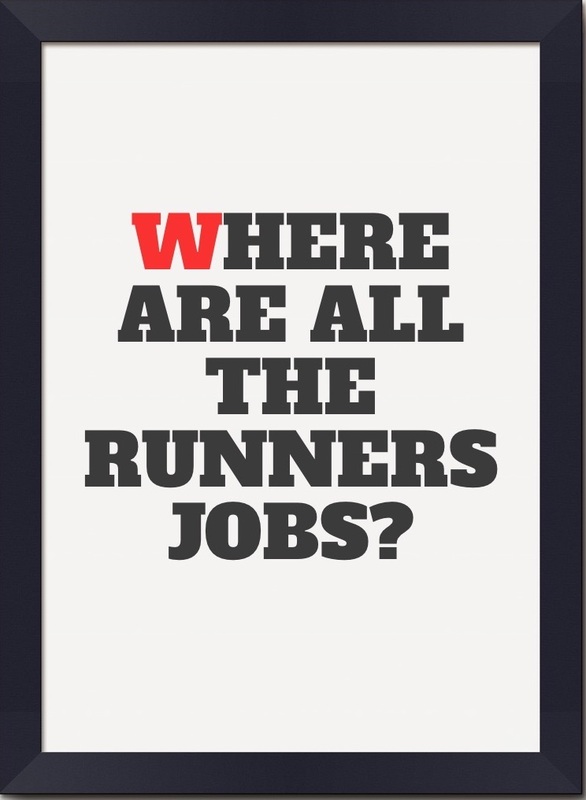 But many runners are worried that they will only get to see all the jobs if they pay someone who is providing them. They worry that, if they don’t cough up, they will miss out. But the news is – you don’t miss out if you don’t pay. The simple fact is that some of these sites simply copy the jobs they find on other free-to-use sites. They then post them on their jobs pages, leading those who take out subscriptions to think that they have some kind of privileged access to see jobs that other people don’t see. And some sites don’t even tell you who the employer is you are applying to – even of the jobs they have copied! So – we are here to put your mind at rest. I have personally contacted every single major production company, film company, corporate producer and facility company to ask them to confirm that they will always place their jobs on free to use sites like The Unit List, Talent Manager or the Facebook group: People who work in TV – Runners (log in and application to join required). And the answers came flooding back with a firm and immediate yes, they will do that (details of a few of the responses below). So here’s the deal – if you are a runner you never, ever have to pay to join a subscription site to see jobs ever again. Save your money instead. Pay off that student debt. Waste it on food. Drink it. Get a tattoo. So if you want to know where you can find TV runner jobs, look at the list below. And if what you want is work experience, remember this: no company advertises any exclusive opportunities on any paid subscription service. They don’t have to, they get quite enough people writing in direct to have to do that (and if you write in direct your CV doesn’t get sent over in a huge pile with hundreds of others). The lovely Lizzie Evans (a fellow runner) has also done a list of where you can find those places that offer work experience, so all the work has been done for you. Check below then to see where the big companies advertise, and where to see all the jobs for free. The list will be updated regularly so keep coming back to have a look. This is the daddy (and mummy) of all job sites. It is totally free to use and has numerous jobs posted on it every day, including jobs for runners. Follow the Twitter feed and check in on the Facebook page. And if you’re waiting to hear back, spend some time looking at the wealth of info on there for people starting out in the business. This has a paid section and an unpaid one. They list jobs from a multitude of employers. Sign up for the free service – you do not have to pay a subscription to see any jobs. They also have a Twitter feed you can follow. All their jobs, including runner positions are always sent to anyone who signs up to their weekly job list. Want a job – sign up! “We use Talent Manager and the Unit List. It’s hard enough getting a job in the industry without having to pay for the opportunity”. “We don’t use paid sites for hiring and use Unit List and Talent Manager regularly. We also receive literally hundreds of speculative applications each year and do follow many of these up”. Spun Gold has confirmed that, no matter where else they may post their jobs ads, they always make sure they feature on free to use sites as well. “We do all our Runner recruitment ourselves and advertise on our website, Facebook and Twitter. We have a separate Runner section in our website and ask all potential candidates to sign up to these so that they can get alerts when the jobs go live. Unfortunately sometimes external websites pick these up but it is not something we encourage”. “To confirm, we haven’t to date used paid sites and wouldn’t use paid sites unless we were completely stuck and unable to find someone suitable. I find that the free sites which you list very useful and applicants from those (particularly the facebook sites), combined with people emailing me directly, are usually the best way to find runners”. So if you think you are any good, don’t let this employer be stuck and forced to use a subscription site – let them know you’re available! Shine has its own system for filling vacancies – their talent database. If they want to find a runner they go there, so they have no need to advertise. Sign up, it’s free – and remember to keep your CV up to date. Nutopia has confirmed that they have put the word out to all their production managers to ensure that all their runner vacancies appear on free-to-use sites. “I wouldn’t post any jobs, especially entry level jobs, anywhere which requires the applicants to pay to view. “I can confirm that any runner jobs that we have to advertise for will be advertised using the free sites. Probably by either The Unit List or the runner’s Facebook group”. “We generally only advertise via free sites, usually Talent Manager and via Facebook”. “I think we all know how difficult it is to get that first foothold in the industry. We appreciate people can’t always afford to use paid for sites and we want to stretch our net as wide as possible. We’re also very active in trying to recruit minorities so that we are a truly diverse company”. A big thank you to all our friends in these TV production companies for their fantastic support. We call upon all subscription sites to publish all jobs for runners free to anyone who wants to see them, without any charges. And when they do that we will make sure you all know about it!